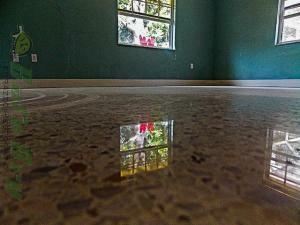 Terrazzo Restoration Orlando shows how great SafeDry can make terrazzo floors look. 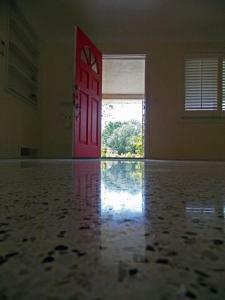 Orlando has many terrazzo floors, that were installed, between the mid 1950s through the early 1970s. 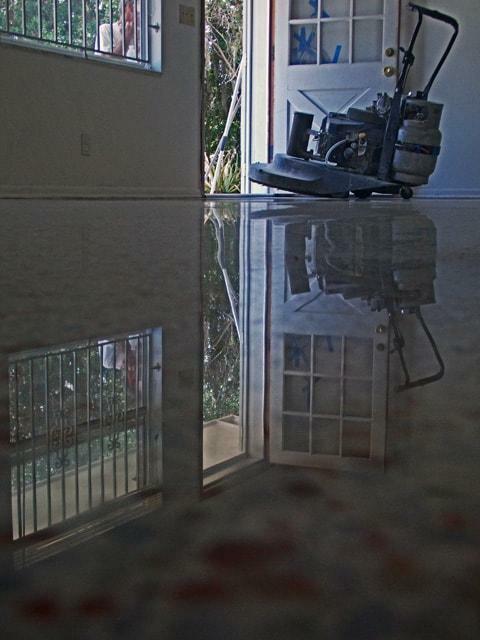 Through the years most of these floors were covered with everything from carpet to wood and tile and vinyl. 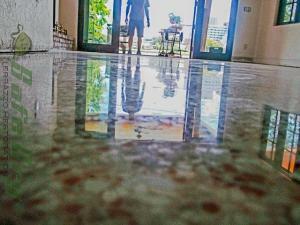 Today many people see these floors as the buried treasure and they truly are. 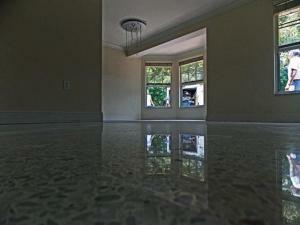 These old Florida terrazzo floors are made from Portland cement and mostly marble chips. In fact most have 85% marble chips in them. 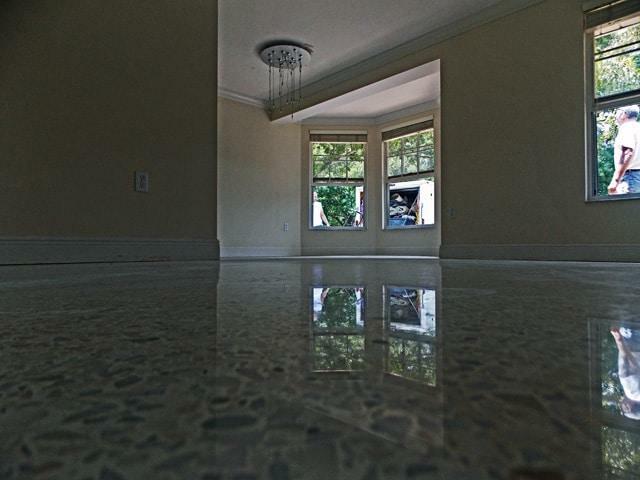 Today these floors can be diamond polished to look like what they are, marble. SafeDry uses a dry system to ensure the safest, trouble free, shiniest terrazzo floors possible. We do not use shortcuts. Most companies these days are looking for a shortcut. 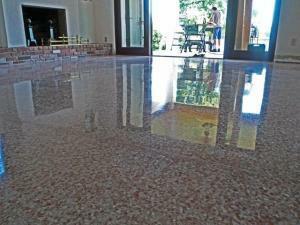 Many will grind and hone to four hundred grit then either use a finish or crystallize to get a shiny floor quickly. 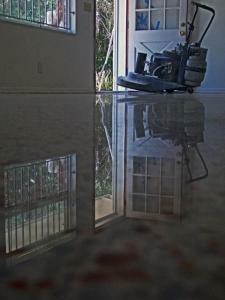 SafeDry continues all the way to three thousand grit to insure the best shine possible. 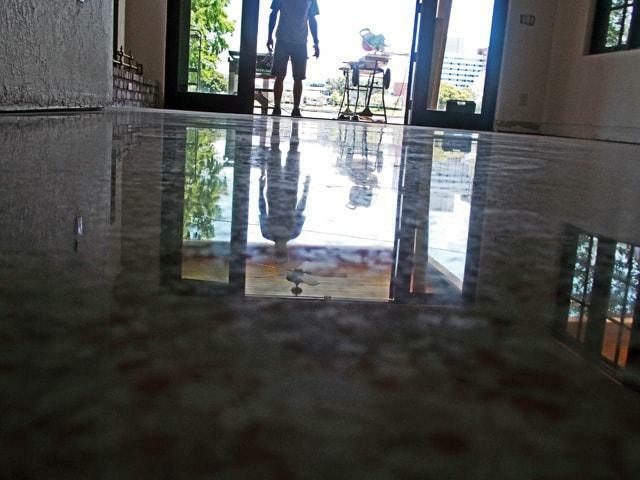 We have spent countless hours testing diamonds to find the best diamonds for shine and appearance. 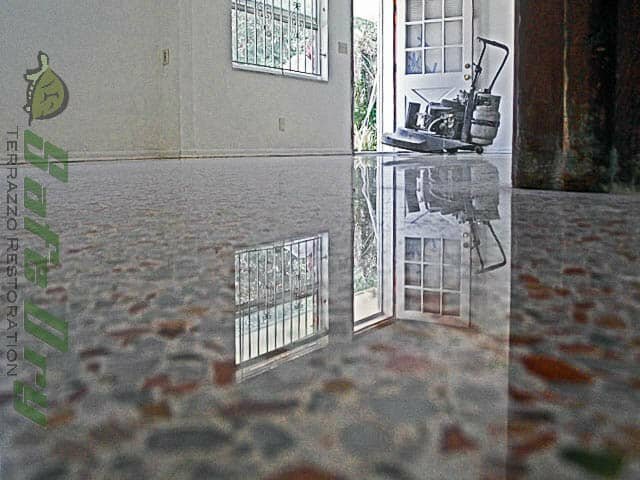 Over the years our system has changes over and over as new technologies have come on-board and proven to produce a superior shine. At the present time, our diamond give terrazzo floors a shine that matches factory marble. I feel we are coming to the end in the amount of shine diamonds can produce. We often get readings on a gloss meter that are over one hundred. I never thought we would get this kind of shine for another ten years, but here we are. 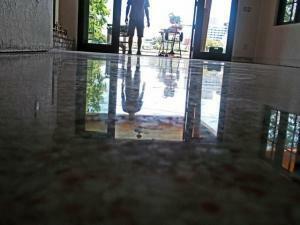 If you have any questions about your terrazzo floors in Orlando, or around Florida give us a call. You can also send us an email to Joe@SafeDry,com. If you like what you read and saw here please click the like button at the top and, or bottom of this page. Thank you for your support.